I have completed a 2000 mile journey to arrive in Malvern, PA to attend the 2016 RPM Valley Forge meet! Earlier today, I operated on Steve Salotti’s HO scale New York, Susquehanna & Western Railroad. I was there with a bunch of other RPM folks to put Steve’s layout through the paces. It was a great time running a couple of locals and switching diverse industries. 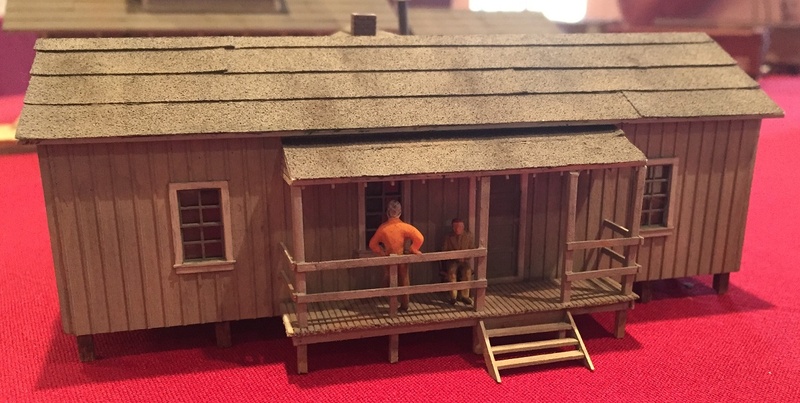 I packed nine HO scale models to display at the meet and there was no trouble at the TSA security checkpoint. The models are bubble wrap was wrapped around each model before they were placed into a clear plastic travel case. There are dividers in the case and the bubble wrapped models fit snugly. 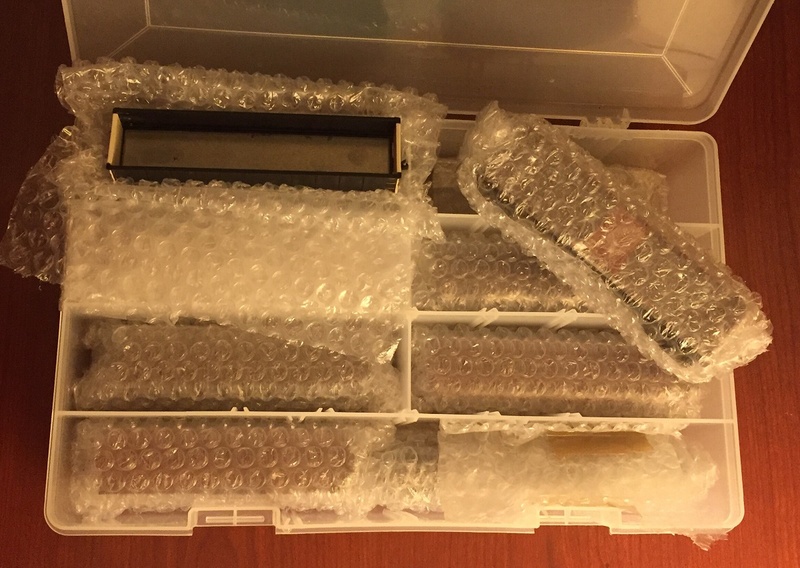 What freight car models look like in bubble wrap. After all of the models were packed away, the lid was snapped shut and the case was shaken to determine if more padding was needed. There was very little movement inside of the case, so it was slid into my carry-on backpack for the trip. This is the first time I’ve taken models to display at a distant RPM meet. I was very happy that everything transported easily. 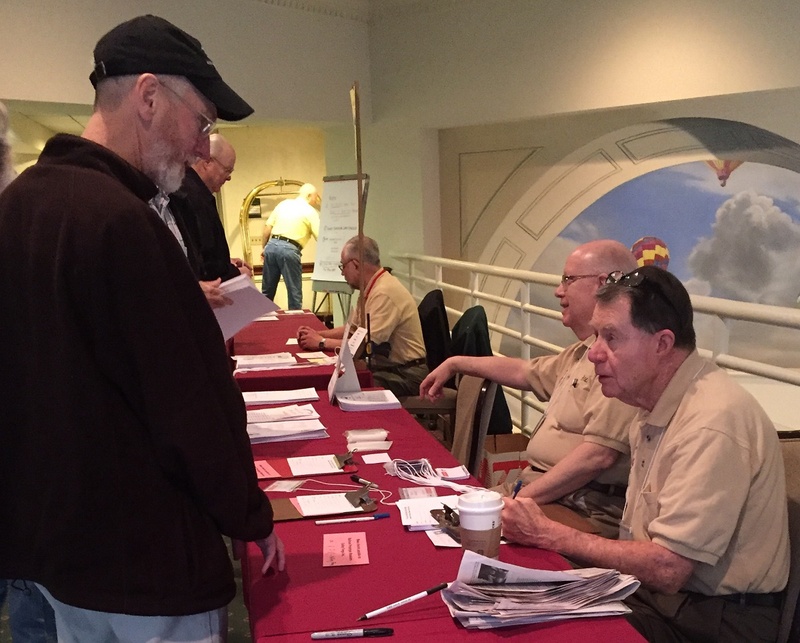 The registration crew kept things moving and offered helpful advice. I’ve checked in to the event and said hello to many familiar faces. Presentations start at 7:00 pm and there are quite a few I hope to see. The model display room is already filling up with some great work. I’ll share a few images below as I can. 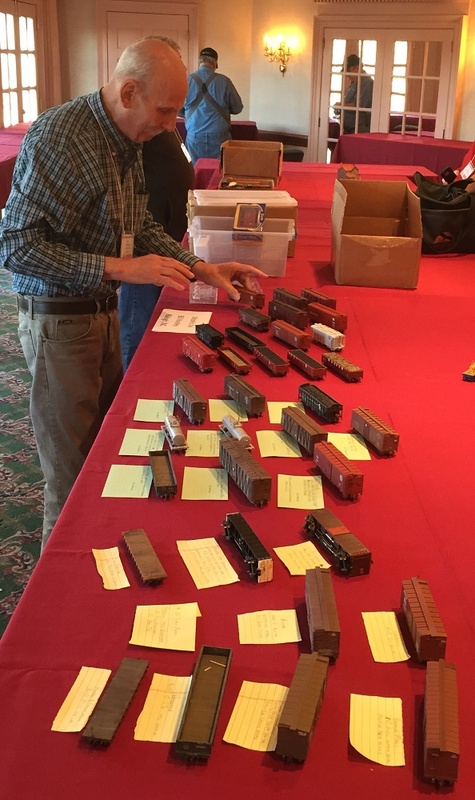 Bill Hanley sets out a number of HO scale freight cars for display in the model room. Click on any image here to review a larger size. These were taken with an iPhone and I was unable to shift the color at this time. 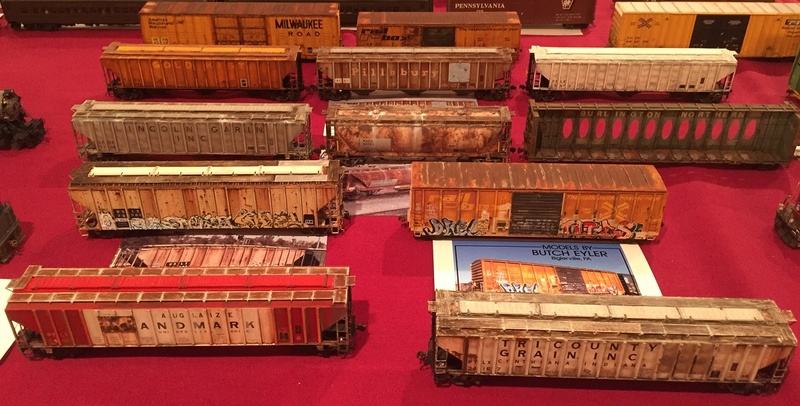 Freight car loads were a focus of these HO scale models by Fred Monsimer. 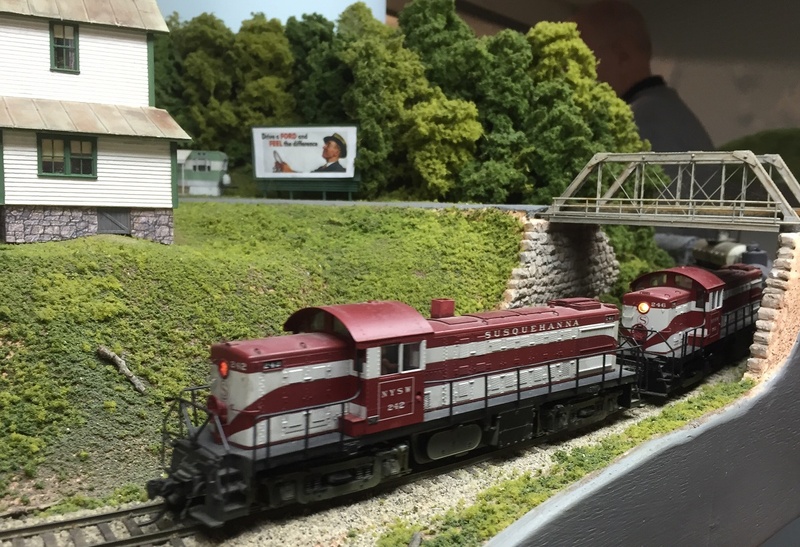 Butch Eyler had a number of well weathered HO scale models on display. 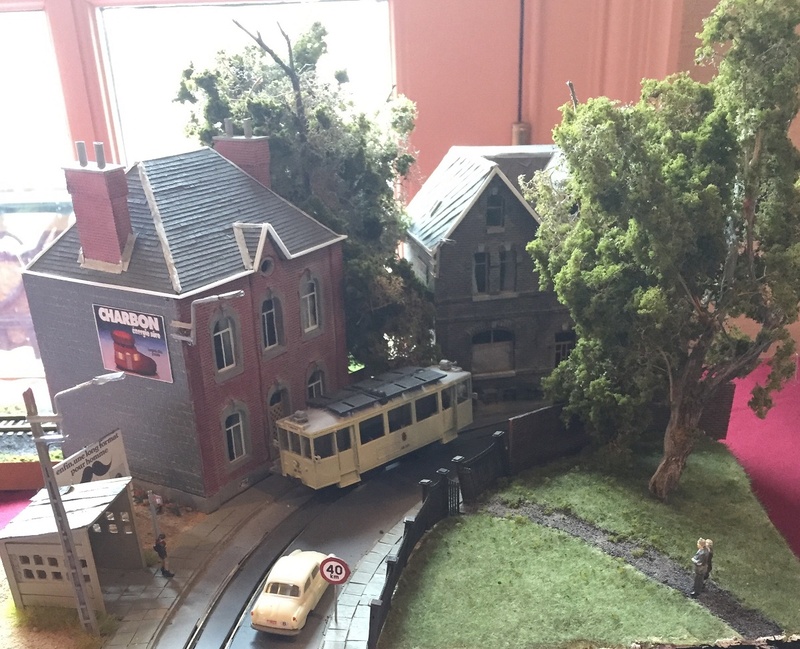 Glyn Thomas offered a differed slicce of prototype modeling with this fine looking diorama of a Belgian street scene. 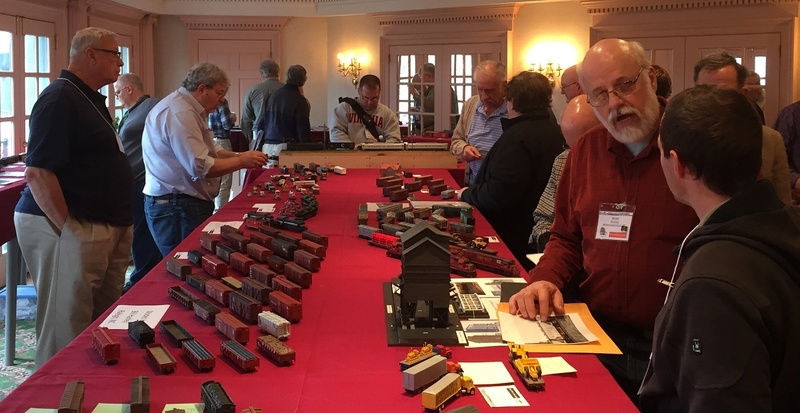 The model display room was busy through the event with several hundred works to view and discuss..
Several scratch built models of C&O prototypes were displayed by Glenn Glasstetter. 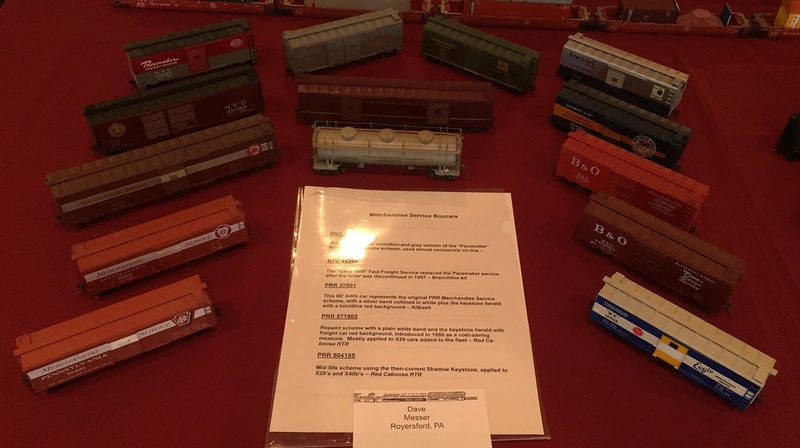 Dave Messer displayed a number of HO scale steam era freight cars in classic paint and lettering schemes. 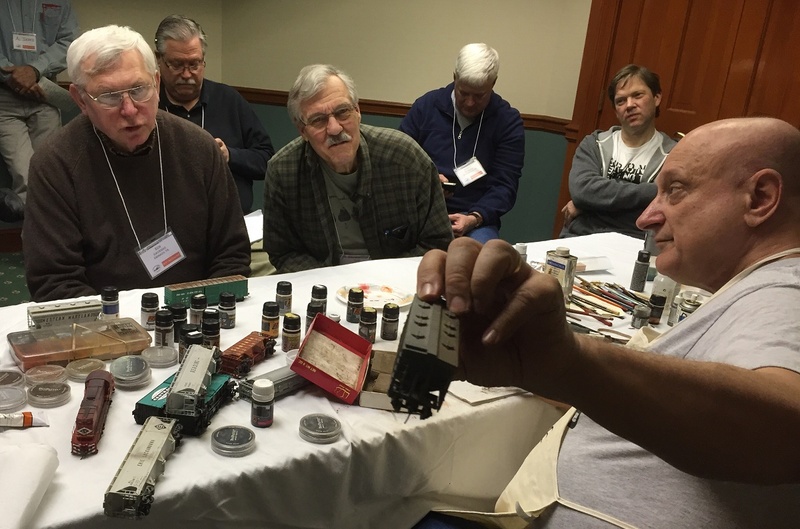 Ralph DiBlasi ran an afternoon weathering presentation that captivated many. There are many more photos coming but I need to get breakfast and prep for my 9:00 am presentation! I hope to upload the remaining images to my pBase site and post a link here soon. A couple other photo galleries have been posted from the event. Click on these to see more! RPM meets are about sharing ideas through presentations,model displays, and informal conversations. It’s always great to meet people with neat ideas and renew friendships. Many thanks to the RPM Valley Forge crew for hosting a fine event! Great job Eric but now you have set up some expectations. We need at least updates for morning, afternoon and evening! One thing that makes for great model photos at RPM meets is low level, I.E. trackside photos. Instead of photographing everything (Others will do that), take photos of outstanding models, maybe a 3/4 view, slightly above, from the B end, and then 3/4 and side views from trackside level. Fill each fram with one model. This method will yield more, good keeper images, and fewer journalistic style photos. Great photos – as always! I have a couple of questions. Who makes the plastic container? Will a 50 footer fit in one row if the center divider is removed? And, will you be at the NTS in Indianapolis this year?